Several new facilities have already opened this summer, and the federal government has requested up to 15,500 beds at two Texas military bases. President Donald Trump’s administration is working to dramatically ramp up its capacity to detain immigrants — especially in Texas. Despite protests, several facilities have opened to hold more migrant adults and children this summer, and there are proposals that would nearly double the total number of beds at authorized centers. For family detention and child-only shelters, the capacity would nearly triple. The vast majority of the requested increase would hold children and families on two Texas military bases. The federal government has made initial requests for up to 15,500 beds at the Fort Bliss Army post in El Paso and Goodfellow Air Force Base in San Angelo, according to Army Lt. Col. Jamie Davis, a spokesperson with the U.S. Department of Defense. 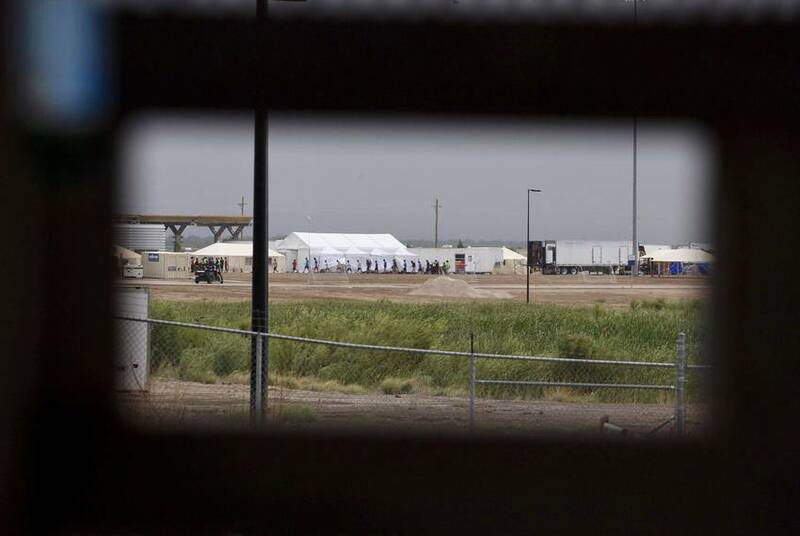 And the state has already seen new and revived facilities pop up along the Texas-Mexico border, like the temporary tent city in Tornillo holding migrant children and a new adult facility in the Rio Grande Valley on the site of a detention center that closed years ago amid accusations of horrid conditions. The new and prospective facilities have faced controversy — protesters, including Texas lawmakers, have rallied outside the facilities, and immigrant advocates have raised renewed criticisms over the civil detention facilities primarily being run by private prison corporations with deep pockets and powerful political connections. Increased detention has been a key part of Trump’s efforts to crack down on illegal immigration since he took office last year. Days after his inauguration, he signed an executive order that included building more detention facilities to enable ending the “catch-and-release” policy where migrants apprehended at the border are released while they await a court date. “We’re going to create more detention space for illegal immigrants along the southern border to make it easier and cheaper to detain them and return them to their country of origin,” said Sean Spicer, then the White House press secretary. But the issue of detention sparked a crisis at the border this year after U.S. Attorney General Jeff Sessions announced in April a “zero tolerance” policy promising to criminally prosecute all those who cross the border illegally, regardless of potential asylum claims. The policy led to more than 2,500 migrant children being separated from their parents at the border and placed in federal custody, some of whom have yet to be reunited. After harsh backlash from Democrats and his own party, Trump hastily reversed the practice of separating children from their parents but vowed to continue “zero tolerance” while detaining families together. 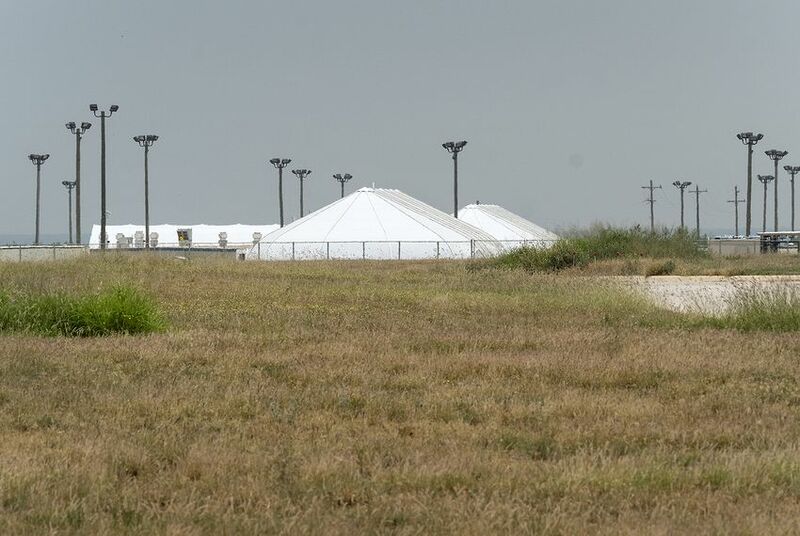 Though the prosecution of migrant parents seems to be on hold and there are legal restrictions against prolonged family detention, the administration has trudged ahead to build more facilities to hold immigrants while they undergo the often-long asylum process. Currently, only three facilities nationwide are authorized to detain immigrant families together: a small center in Pennsylvania and two larger sites in Texas south of San Antonio, run by private prison corporations GEO Group and CoreCivic. The Texas centers can hold about 3,500 migrants together, and advocates have reported that they are now holding reunited families set for deportation and aren’t near capacity. Still, the federal government has looked to drastically increase that number by seeking bed space at the military bases. Davis, the defense department spokesperson, said federal government agencies have asked the defense department to find room for up to 12,000 beds to detain families. Under the proposal, the first 4,000 beds would be at Fort Bliss, and if they need more, Goodfellow would be targeted to house another 4,000 migrants, he said. The military has also marked Goodfellow to be able to house up to 7,500 children alone. 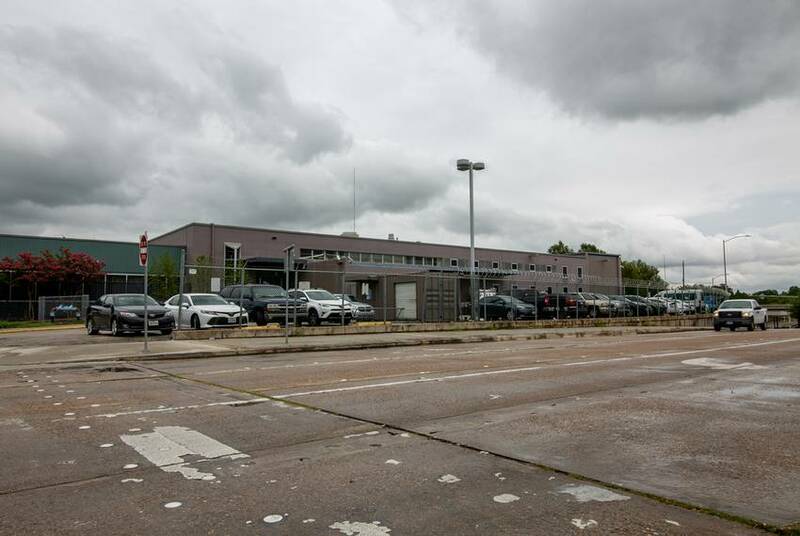 The necessary checks have been met to house children at Goodfellow, Davis said Wednesday morning, but the government has yet to officially request the use of the base — which is when a 45-day clock to develop a facility would start. Fort Bliss has not yet passed all its bureaucratic hurdles. Aside from space at military bases, the Texas Health and Human Services Commission, which regulates child immigrant shelters, has given at least 14 facilities permission to increase their capacities as of mid-July, including a converted Walmart in Brownsville that now can house about 1,500 migrant children. Though some centers closed, the increase far outweighed the loss, and two groups are seeking to establish new shelters in the Rio Grande Valley and downtown Houston. The increase hasn’t only been for families and children — ICE is also expanding its capacity for adults. In April, the White House greenlit a new $110 million, GEO Group-run complex in Conroe near Houston that is expected to be completed later this year. 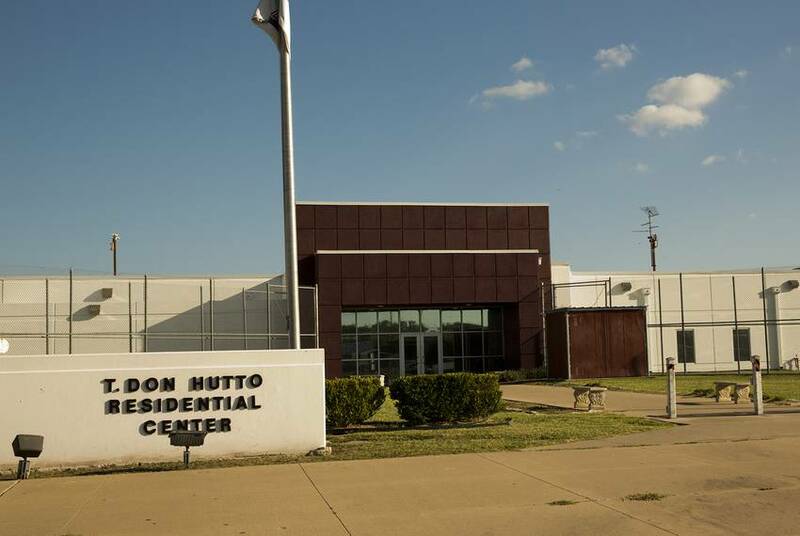 Last month, ICE opened a Raymondville lockup on the same site and with the same management — private prison company Management and Training Corporation (MTC) — as a notorious center that closed down after reports of inhumane treatment. And in early June, ICE announced a new, temporary agreement with the Federal Bureau of Prisons to hold up to nearly 1,700 civil detainees in five federal prisons throughout the country — one of which is in El Paso. The agencies arranged to hold up to 220 detainees at La Tuna prison’s low-security satellite campus, according to the prison bureau. In June, more than 150 detainees were held at the prison; on Wednesday, the number had dropped to 40. Despite assurances that the detainees were not to be housed with federal prisoners, the president of the American Federation of Government Employees slammed the agreement in a statement, citing safety concerns for detainees and the already short-staffed guards under Trump cuts. Darla Cameron contributed to this report.